Thank you, Al Mann, for all your amazing contributions in the field of medical devices, from which we have all benefited. You were quite the visionary! Alfred E. Mann, who started medical device companies that pioneered in the development of pacemakers for erratic hearts, insulin pumps for diabetics, cochlear implants for the deaf and retinal implants for the blind, died on Thursday in Las Vegas. He was 90. Mr. Mann, who spent most of his career in the Los Angeles area, became a billionaire from his entrepreneurial activities. His biggest success was MiniMed, which became the leader in insulin pumps, wearable devices that deliver insulin throughout the day, allowing people with diabetes to more precisely control their blood sugar levels. Mr. Mann, who was chief executive of MiniMed for many years, sold the company to Medtronic for more than $3 billion in 2001. Mr. Mann was also behind Advanced Bionics, a manufacturer of cochlear implants. Another company, Second Sight Medical Products, won approval in 2013 for the first “artificial retina,” which uses electrodes implanted into the eye to provide rudimentary vision to people who are blind from certain diseases. In all, Mr. Mann started and largely financed 14 companies, nine of which were acquired for a total of almost $8 billion, according to MannKind. 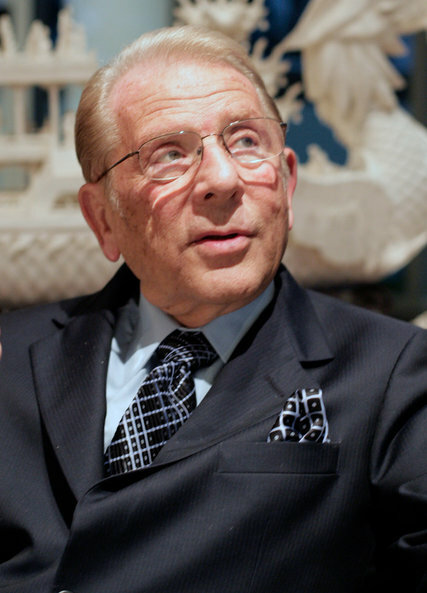 Alfred Mann was born in Portland, Ore., on Nov 6, 1925. His father, Charles, an immigrant from England, was a grocer. His mother, Anna, who was from Poland, was a singer and pianist, and musical talent ran in the family. Mr. Mann’s brother, Robert, a violinist, was a founder of the Juilliard String Quartet. His sister, Rosalind Koff, was a concert pianist. Mr. Mann, however, turned to science. He received his bachelor’s and master’s degrees in physics from the University of California, Los Angeles. He started two aerospace companies, Spectrolab and Heliotek, to fill contracts for the military. Some of that work was to provide solar cells to power satellites. Because of that, he was asked in 1969 by researchers at Johns Hopkins University to work on longer-lasting batteries for pacemakers. Mr. Mann founded Pacesetter Systems, which introduced pacemakers with rechargeable batteries. It was acquired by Siemens in 1985 for $150 million. In 1979, while running Pacesetter, Mr. Mann was visiting a cardiac ward and was challenged by a doctor there to work on diabetes, which caused many of the heart problems in patients. That led to the creation of MiniMed and later to MannKind, which developed a form of insulin that is inhaled instead of injected. MannKind, Mr. Mann’s last big venture, may also have been his Waterloo, eating up much of his fortune. The pharmaceutical giant Pfizer suffered a costly marketing flop with an inhaled form of insulin in 2007. After that, other big insulin manufacturers dropped their own plans for similar products. But Mr. Mann, who was chief executive of MannKind for many years, would not give up. He insisted MannKind’s inhaler was better than Pfizer’s and that its insulin had desirable medical characteristics beyond being inhalable. He put about $1 billion of his own money into the company he had named for himself, keeping it afloat through years of setbacks. “I believe this is one of the most valuable products in history in the drug industry, and I’m willing to back it up with my estate,” Mr. Mann told The New York Times in 2007. The inhaled insulin, called Afrezza, was finally approved by the Food and Drug Administration in 2014, but sales have been dismal. In January, Sanofi, the big French drug company, pulled out of an agreement to market the product. MannKind is now in danger of going out of business, though it is vowing to survive. “Our resolve is now stronger than ever to continue Al’s legacy of medical innovation, as a tribute to this remarkable man, who did so much to help mankind,” Matthew Pfeffer, chief executive of MannKind, said in a statement Friday. My mom was in the one of the first test groups for the pump in the early 1970’s. In those days the pump would not fit in a car. It is amazing how important Mr. Mann is to our community. He was a wonderful man. Thanks so much Rick. I just feel so very grateful that this brilliant man applied his expertise, time and money to making our lives better. Thank you, Joanne, for this well-deserved tribute. Al Mann is one of my heroes — someone I would have been thrilled to meet in person. I learned about him when I was considering the Minimed insulin pump, and I was amazed at his ability to drive innovation through the medical industry despite extraordinary obstacles. But Alfred Mann had an impact on me personally due to his insulin pump. The Minimed pump gave me a new lease on life at a time when I wasn’t quite sure I’d live past my 20’s…with all of the late-night low blood sugars and paramedic interventions caused by long-acting insulin and MDI. The pump changed all of that, making it possible to live independently and sleep without fear. More recently, I was also impressed by Alfred Mann’s unwavering drive to commercialize Afrezza, the inhalable insulin, overcoming opposition at every turn. He believed in Afrezza’s effectiveness and in its ability to improve diabetics’ lives….and I’m inclined to believe he was right. I am forever grateful for Mann’s vision and persistence. He’s a model for innovators everywhere and a hero to millions of Type 1 diabetics. Godspeed, Alfred Mann. We will miss you!!! !